Tired of watching the pros every Sunday? Hit the gridiron yourself! 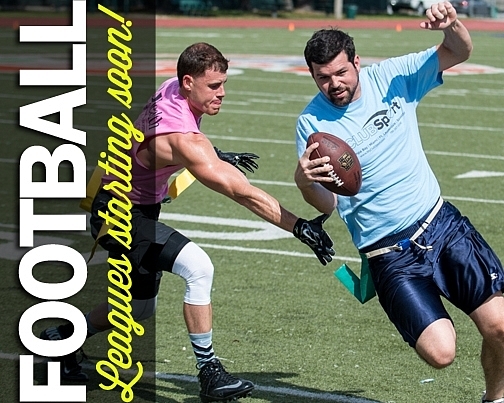 Kaboom runs coed and men's flag football leagues for all abilities. Coed rules are tailored so everyone has a chance to get in on the action. The season includes 7 regular season games with everyone making a single elimination playoff at the end. Provided with the league are 2 officials, team shirts, online schedules and standings, prizes for champs, after season party, and more! Get your team together or sign up as a free agent and we'll find a team for you! See you on the field!